SEE Perspective – BSN Business Magazine for Southeast Europe. Issue 6 – April 2015. Featured topic: Wages in the Balkans. SEE Perspective – BSN Business Magazine for Southeast Europe. 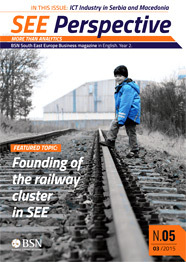 Issue 5 – March 2015. Featured topic: Founding of the railway cluster in SEE. 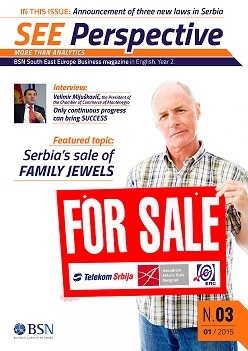 SEE Perspective, BSN business magazine for Southeastern Europe. Issue #4 – February 2015. 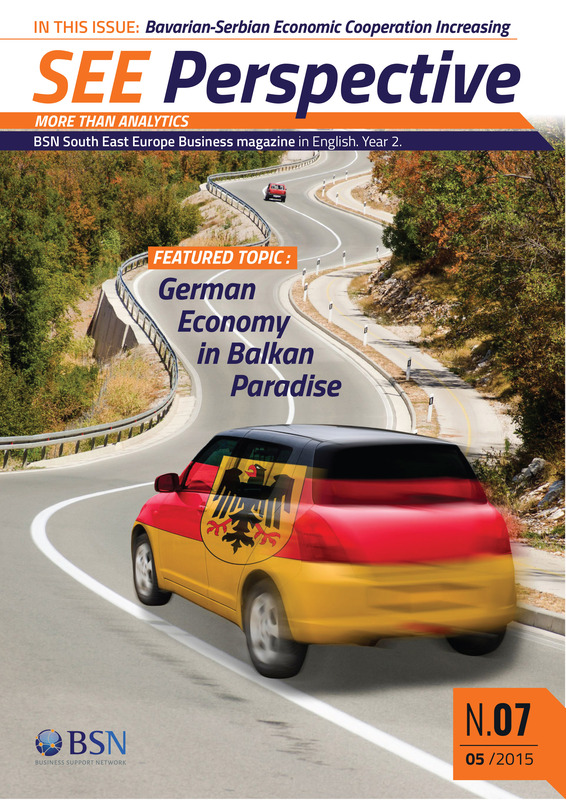 SEE Perspective, BSN business magazine for Southeastern Europe. Issue #3 – January 2015. Featured topic: Serbia’s sale of family jewels. 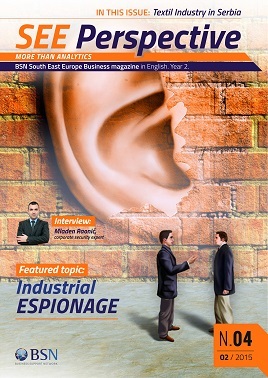 SEE Perspective, BSN business magazine for Southeastern Europe. Issue #2 – December 2014. Featured topic: Serbia wants to join the EU, but does not respect its own laws. 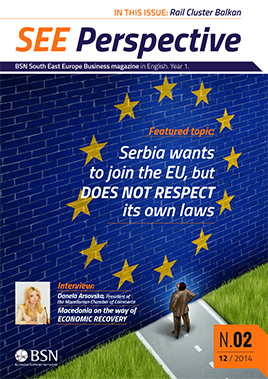 SEE Perspective, BSN business magazine for Southeastern Europe. Issue #1 – November 2014. Featured topic: Regional Absenteeism.